Lebanese PM urges Iran not to interfere in his country’s affairs after top Iranian general welcomes Hezbollah's election achievements. Lebanese Prime Minister Saad Hariri on Monday urged Iran not to interfere in his country’s affairs. His comments, quoted by The Associated Press, came after a top Iranian general reportedly praised Iran-backed groups for making gains in last month's parliamentary elections. Hezbollah, which is backed by Iran, and its allies gained more than half the seats of the 128-member parliament in the May 6 parliamentary elections. The faction led by Hariri lost over a third of its seats in the elections, but he was nevertheless asked two weeks ago by President Michel Aoun to form a new cabinet. Lebanese media aired a video posted on social media showing Gen. Qassem Soleimani, the head of Iran's Quds Force, saying that Hezbollah's victory came at a time when some Arab countries labeled it and its leaders as terrorists. 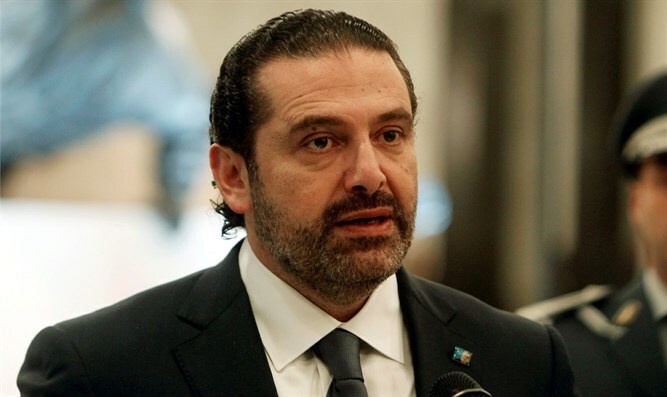 Hariri told reporters later Monday that the comments are "regrettable," adding that interfering in Lebanon's internal affairs is "not in their (Iran's) interest, nor those of Lebanon or the region." Hariri is backed by Saudi Arabia, which is Iran’s regional rival. He announced he was stepping down last November in a televised address from Saudi Arabia in which he lambasted Tehran and Hezbollah for destabilizing his country and the Middle East. He later said he would consider coming back as premier if Hezbollah stopped intervening in regional conflicts, including the wars in Syria and Yemen.